Itʼs an age-old truth in nature. Things just naturally seem to grow when there’s soil and water. And while soil is the usual constant in this equation, water is not! You canʼt control when, how much, itʼs going to rain. With that said, Ever-Green sought to help Mother Nature along in 2014 with the addition of “irrigation” to our list of services offered. Beginning in 2015, we upped the ante with the addition of Kirt Huemmer and Huemmer Irrigation, of Piqua, to ensure that our commitment to natureʼs equation is second to none. 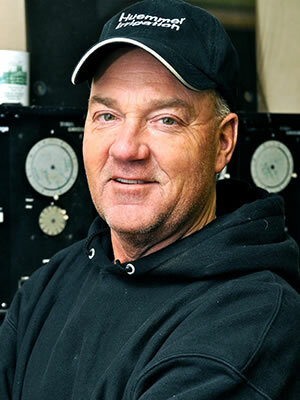 Well-established as an area specialist in installation and service, Huemmer has more than 30 years experience with irrigation, the last 28 years through is commercial affiliation with Echo Hills Golf Course, in Piqua. “I’m very excited to have this opportunity,” says Huemmer, who in recent years has maintained upwards of one hundred local residential and commercial accounts in Miami, Shelby, Montgomery, and Darke Counties. 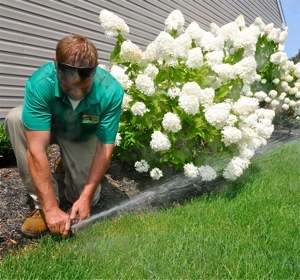 Irrigation specialist Shane Chaney adjusts coverage on an Ever-Green installation. And regardless of the size of your property, Huemmer and his Ever-Green team are capable and equipped to address any need, and any application, from large athletic fields to the smallest home lawn and garden. Our commitment with our newest addition is to provide the same great customer service you’ve come to expect from Ever-Green in other areas…lawn care, landscaping, tree service, and residential and commercial mowing. Remember this adaptation of the old saying: Where there’s water there’s a way. 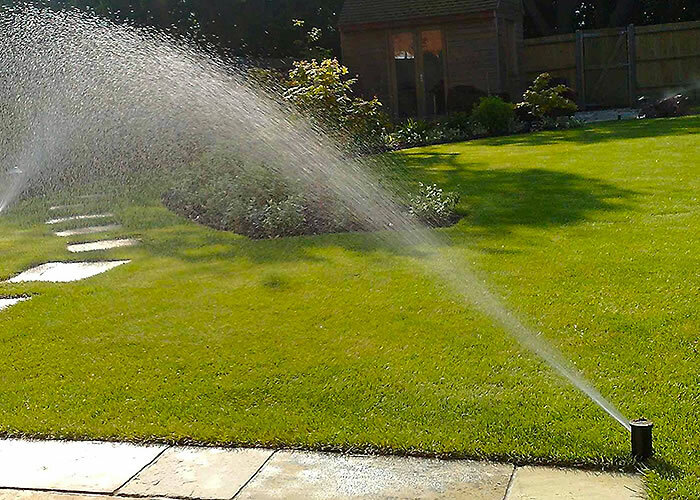 And for full control over your property’s growing potential the way now begins with a call to Ever-Green for the best in irrigation installation and service.